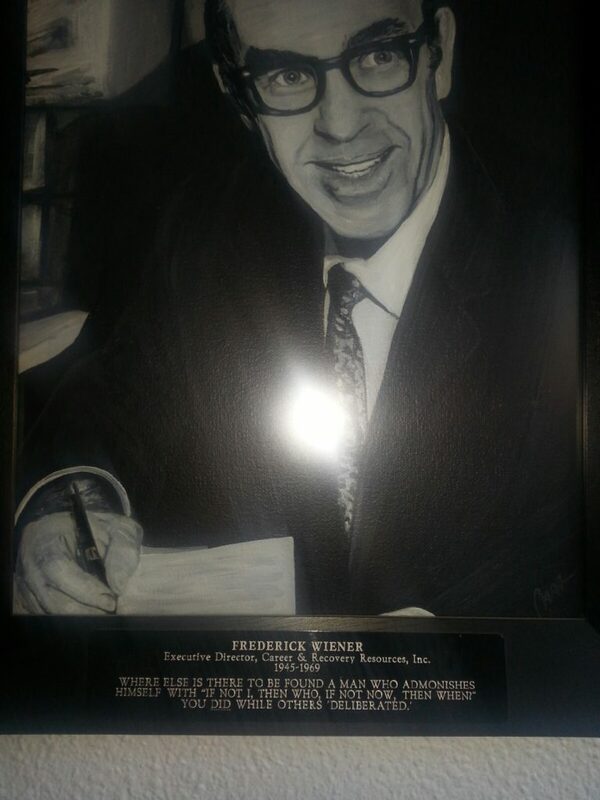 The Frederick Wiener Memorial Scholarship Fund was established in honor and memory of Frederick Wiener, the first Executive Director of our agency, previously known as the Jewish Vocational Guidance Services. Mr. Wiener served as the Executive Director from 1945 to 1969. 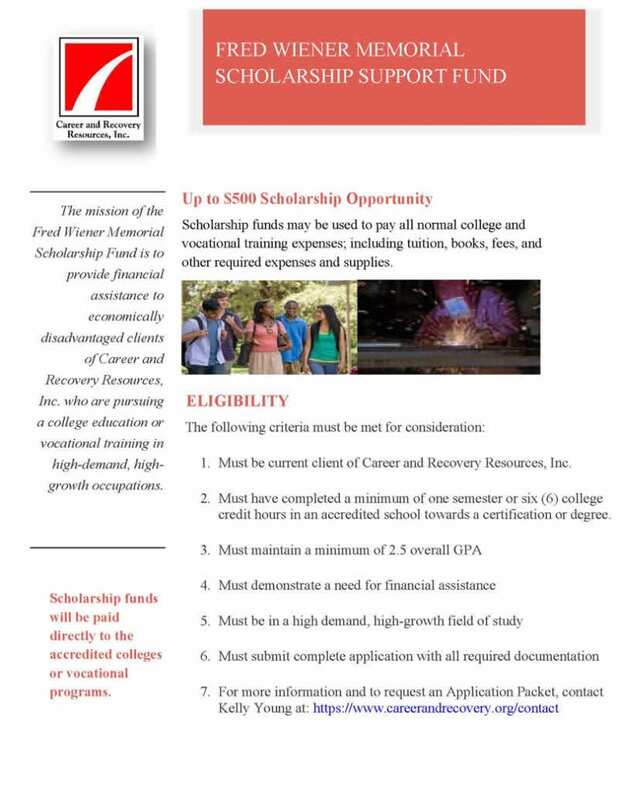 The Frederick Wiener Memorial Scholarship Fund awards each approved applicant up to $500.00 per semester or vocational training class, with a total lifetime award of $1,500.00. Applicants will need to re-apply for funding each semester for consideration of additional funding. Applicant must be current or past client of Career and Recovery Resources, Inc. Applicant must have completed a minimum of one semester or six (6) college credit hours in an accredited school towards a certification or degree. Applicant must agree to provide a status report to Career and Recovery Resources, Inc.